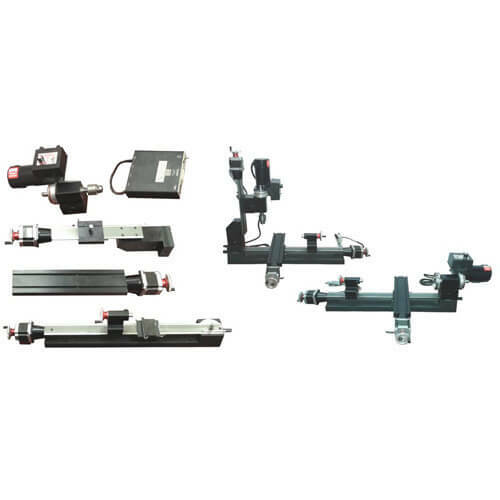 CNC Trainer Kit means Computerised Numerical Control kit which can be controlled by the use of computer along with industrial grade software and required electronics. The students know how to run the machine but have very little knowledge about how to maintain and assembly of CNC machine. With VPL-CNCK, students can assemble, service and appreciate various components used in CNC machines. Student can make CNC Mill, Drill & Lathe with the help of this kit. The basic CNC machines could only cut straight paths, and as soon as the electronics were available to store just a small amount of memory the new rage became “look-ahead” control systems. This meant the cutting tools wouldn’t create machining problems when they hesitated as the next block of information was read. Stepper motors were used for a short period to drive the lead screws. Using VPL CNC Kit, you can easily assemble a CNC Mill/Drill or CNC Lathe as per your requirement. The detailed parts description with step-by-step assembling procedure is provided with the kit. The CNC Controller and User Interface software provided with the kit enables the user to control the CNC kit through your PC.